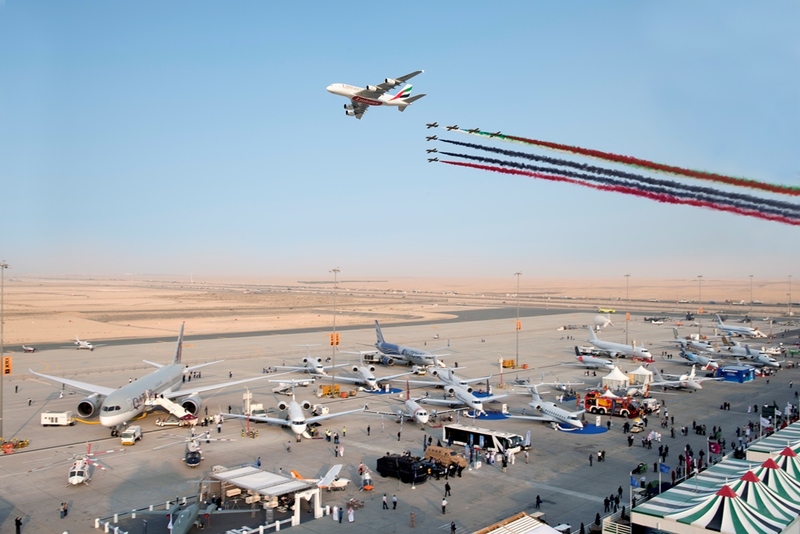 Experience daily flight demonstrations from a Skyview seat: The Dubai Airshow grandstand arena is called Skyview, and it was specially built just for this event. See some of the world’s best pilots as they soar through the sapphire blue Dubai skies in cutting-edge aircraft. Al Fursan, the UAE aeronautic acrobatics team, is expected to be a big draw. This is also the first year that UAV’s will take part in daily flight demonstrations. 3D Print Show: Printing aircraft components is rapidly becoming a standard practice, especially in remote locations with limited parts availability, or to help meet tight production deadlines. This event will have its own dedicated pavilion inside the Dubai Airshow. Exhibitors such as Stratasys, Ultimaker, BigRep and D2M will be on hand to demonstrate the latest in 3D printed technology for the aviation industry. Tour leading-edge and redesigned aircraft: Among the 160 aircraft on display at the show is the Gulfstream G650, the fastest aircraft of its kind, which can travel nonstop from Paris to Los Angeles at 9/10s the speed of sound. Sudan’s Safat 4 Trainer will also be on display, as will the newly reconfigured Cessna Grand Caravan EX special mission demonstrator, which debuted for the first time in Paris earlier this year. GULF Aviation Training Event: Top pilots and aviation trainers are assembling on November 10th and 11th for an informative series of lectures and panels that focus on pilot training and the promises and pitfalls of flight automation and flight tracking systems. The purpose of the program is to bring together industry players to solve challenges for identifying, recruiting, and training pilots across the region and the world. Future’s Day: If you’ve brought young people in tow to the event, there’s no better way to wrap up the airshow than in attending Future’s Day, which gives students ages 16 and up the chance to learn more about the aviation industry.